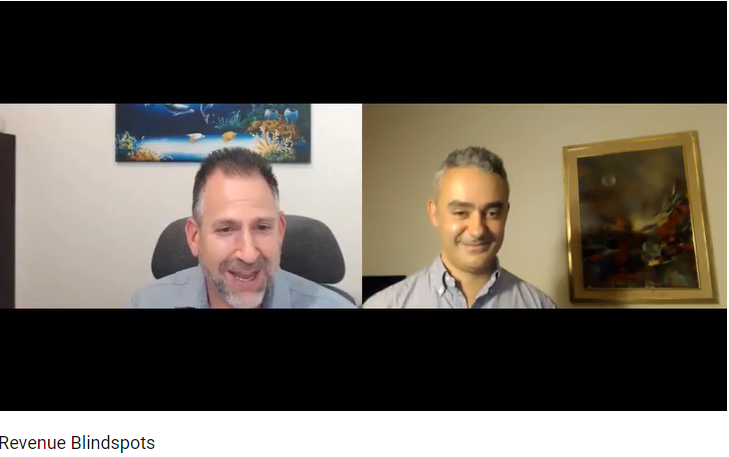 Thoughtleadership interview about revenue blindspots, customer experience and marketing with fellow IBM Futurist Bryan Eisenberg, Co-founder Buyer Legends, NY Times bestselling author, Keynote Speaker. Internationally recognised authority & pioneer in online marketing and a personal friend and adviser of mine. I edited the video as we had some internet connection problems in places but tried to retain as many great insights as possible. We shared some interesting conversations around revenue blindspots and how some of the companies he has worked with changed one graphic that had a huge impact, it accounted for 5% for their topline revenue. They had been staring at it for months. Daily deaths by a thousand cuts are caused by revenue blindspots, the little small cuts where they couldn’t execute. A big change in perspective using The Buyer Legends Momentum Framework has helped businesses to increase revenues of over 1 Billion USD. Bryan explains that the statement usually created do not describe the problem they are fixing enough. You will need to listen to the video to understand more about the help that Bryan and his team can do for your business. The process that they use is very similar to the process that I use myself with my associates. Building business acumen along the way, helping clients to learn whilst they are having their problems fixed. Becoming more effective is key to people succeeding in business and Bryan covers a lot of interesting informative insights here. We discussed about seamless experience and Amazon Go and lots of other potential disruptions and potentially say goodbye to 7 Eleven. I explained how I did not appreciate being recruited to scan my own items and I hate it! We need to be able to react in real time, being a dinosaur in business is no longer acceptable in organisations, they need to be more nimble and reduce their revenue blindspots. You can find Bryan Eisenberg anywhere on social media.